CREATE NETWORKING OPPORTUNITIES THROUGH COMMITTEE INVOLVEMENT!! This is another great way to get involvement with other business owners and representatives as well as the community. The committee meets once a month (the First Monday of each month from 8am - 9am). INTERESTED IN JOINING THIS COMMITTEE? 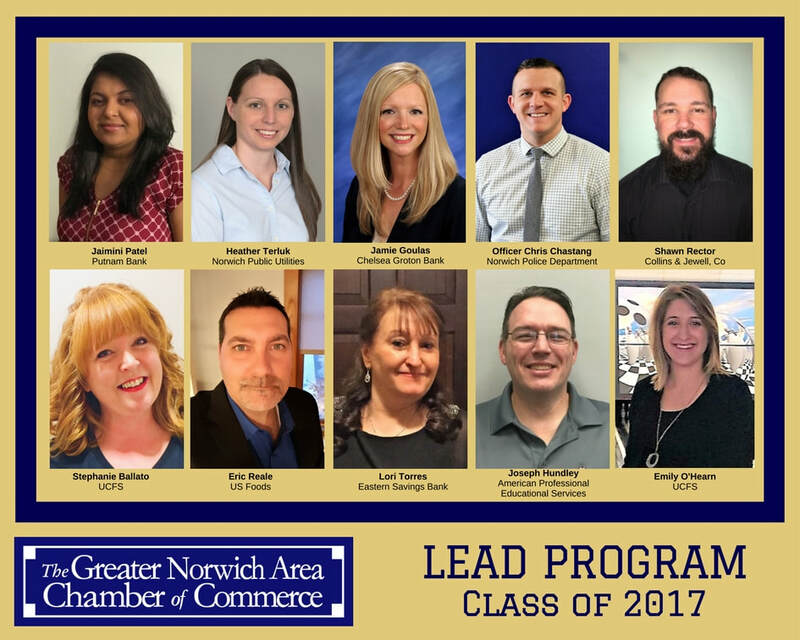 Please email AngelaAdams@NorwichChamber.com or call (860) 887-1647 to learn more! The GNACC’s L.E.A.D. program helps develop knowledgeable, committed, and action-oriented leaders. Participants from diverse backgrounds and different perspectives will enhance their existing leadership skills and gain a better understanding of themselves and their role in the community. MEET OUR 2018 LEAD COMMITTEE MEMBERS! !